Jimmy Carr is to host a one-off Horizon special, as part of the BBC’s landmark sitcom season, revealing the fascinating science of laughter and comedy. 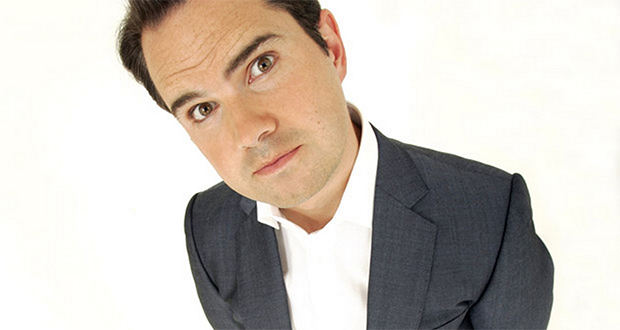 Jimmy Carr And The Science Of Laughter: A Horizon Special will be an evening of new science, experiments and a whole new theory of funny. With the help of leading scientists along with Jimmy’s own theories and ideas, together they will try and find answers to what laughter actually is, why we love doing it so much and why we associate laughter with being amused. Science contributors in the studio will include Professor Sophie Scott from University College London, who is breaking new ground in how the brain processes natural and social laughter; Professor Robin Dunbar from Oxford University, an evolutionary biologist and experimental psychologist who has a theory on why laughter was pivotal in our species development; and Professor Pete McGraw from University of Colorado, a psychologist who claims his controversial theory explains all comedy. Horizon is BBC Two’s flagship science strand, and Jimmy Carr And The Science Of Laughter: A Horizon Special will air as part of the BBC’s landmark sitcom season celebrating the heritage and legacy of BBC comedy over the past 60 years. The sitcom season will be revisiting some of Britain’s iconic sitcoms, including Porridge and Are You Being Served? alongside launching brand new comedy shows.